Every audio file has interesting information embedded in it, whether about the song's author, the album and the year it was launched,... This information is known as metadata and is saved as a tag in the file. Download a free application like Mp3tag to manage this information. Powerful audio file tag editor. 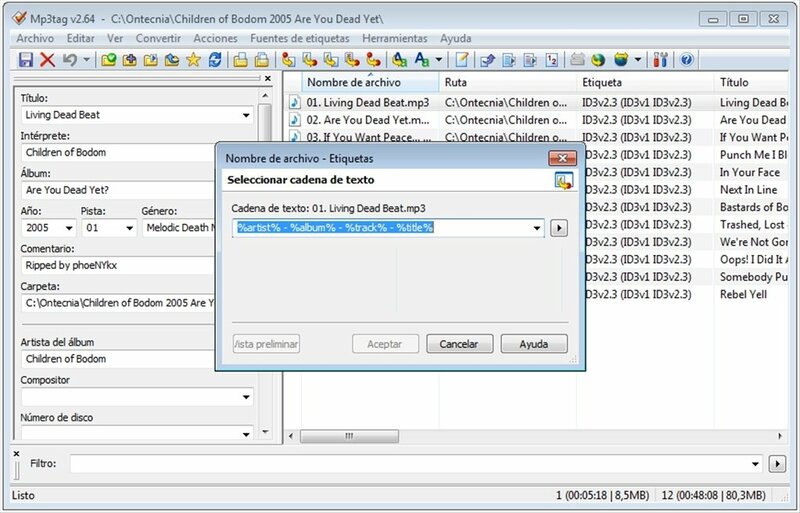 Audio file tags are one of the elements that helps us most to keep our music collection organized. But if this information is wrong or incomplete it doesn't fulfil its functionality. 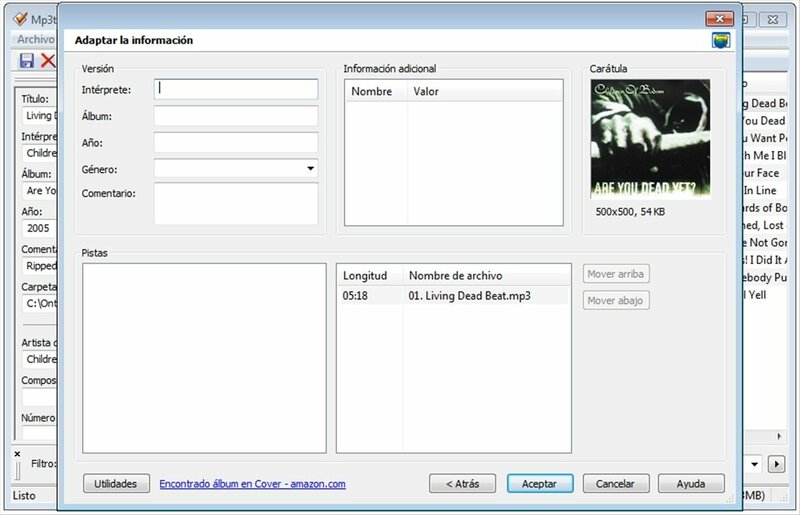 In these cases, both to obtain or to edit the metadata of a song, you can use Mp3tag. Recognize, edit, save and delete tags. Transform tags into file names and vice-versa. 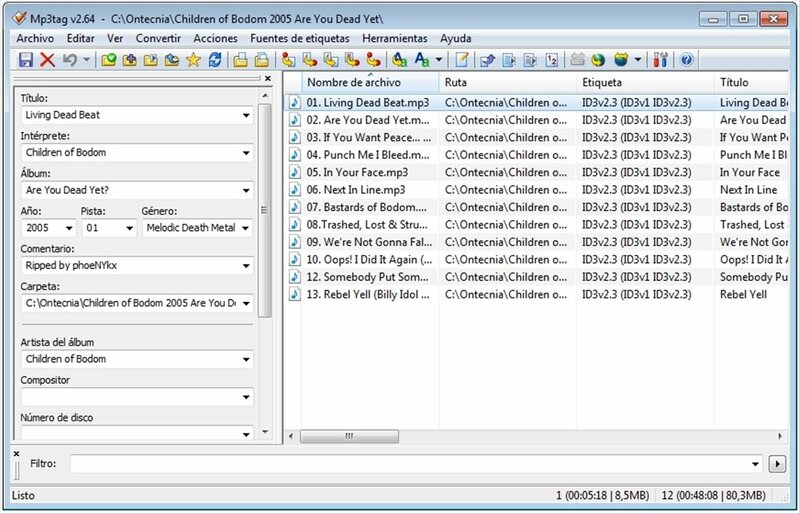 Use several tag sources (freedb, Amazon.com, Amazon.de, Cover Art, discogs, MusicBrainz). Support for ID3v1, ID3v2.3, ID3v2.4, iTunes MP4, WMA, APEv2 Tags and Vorbis Comments. Possibility to export the lists to HTML, RTF or CSV.